Equlist hunting. . Wallpaper and background images in the अवतार- द लेजेंड ऑफ कोरा club. 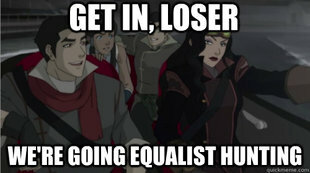 Wait, if Asami is Regina, then I think Mako is Gretchen . . . .